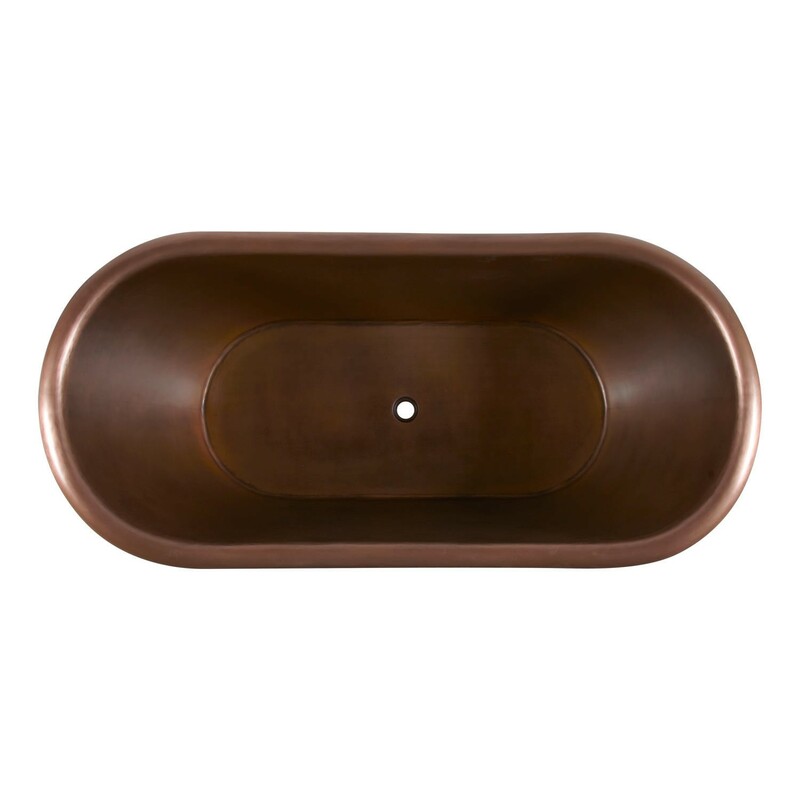 66″ Dimensions: 66″ L x 33″ W x 32″ H (± 1″). 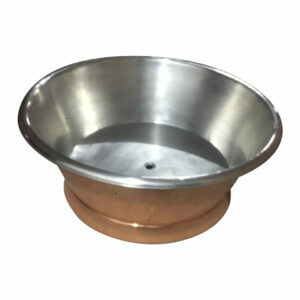 Water capacity with overflow: 61 gallons. 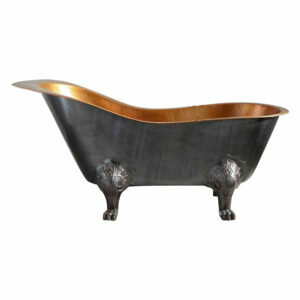 Weight uncrated/crated: 170/280 lbs. 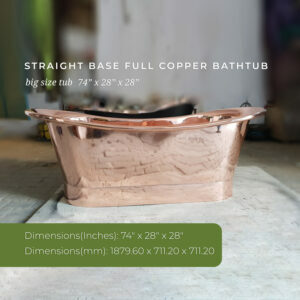 72″ Dimensions: 72″ L x 32″ W x 30″ H (± 1″). 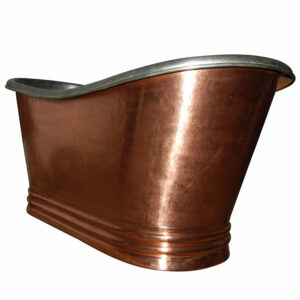 Water capacity with overflow: 81 gallons. 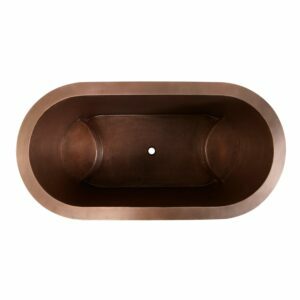 Weight uncrated/crated: 200/310 lbs. 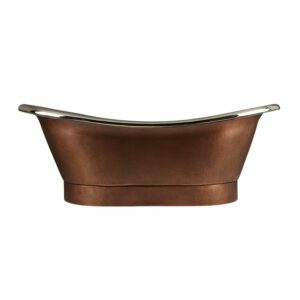 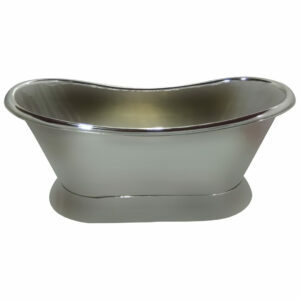 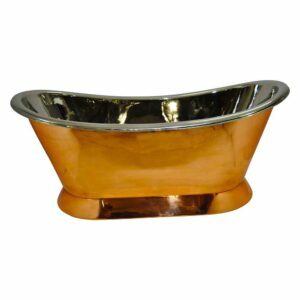 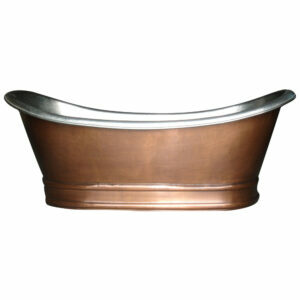 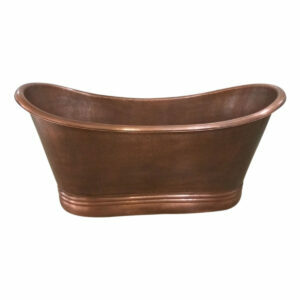 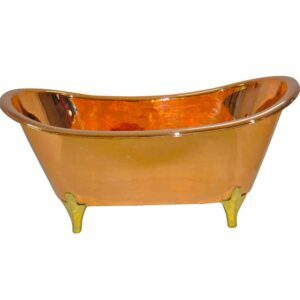 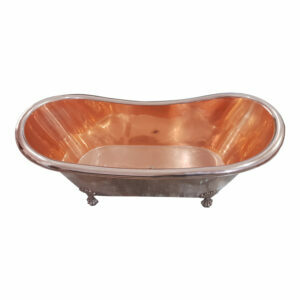 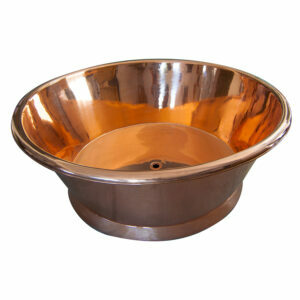 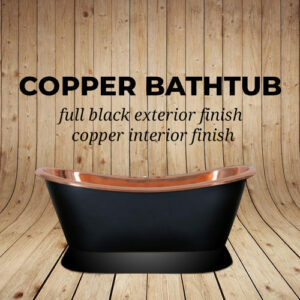 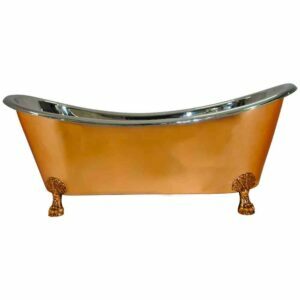 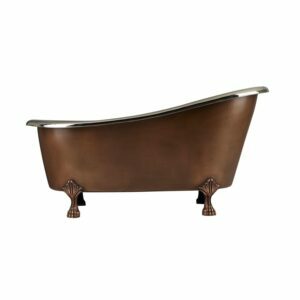 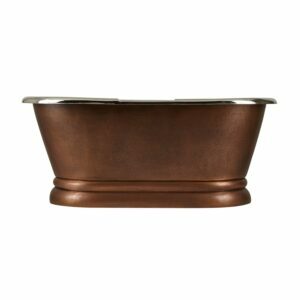 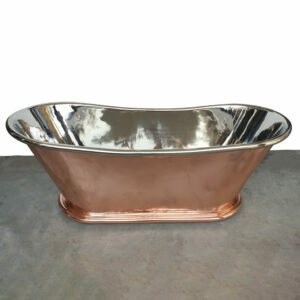 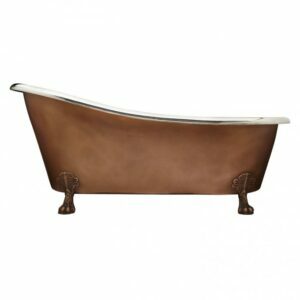 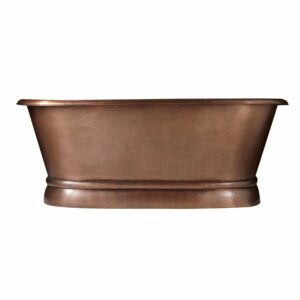 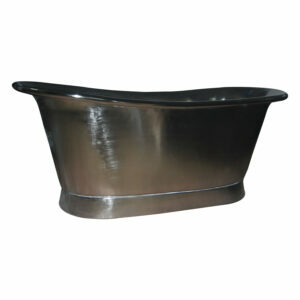 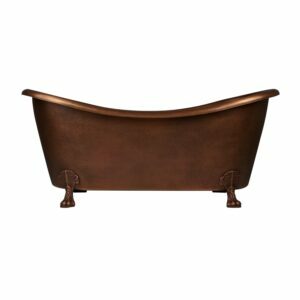 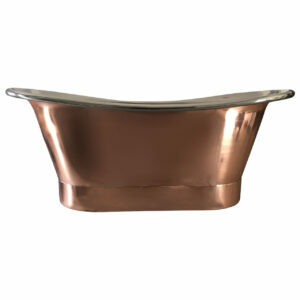 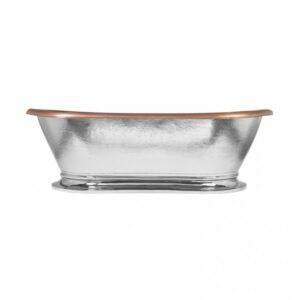 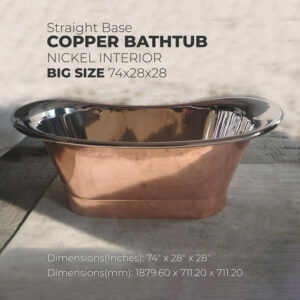 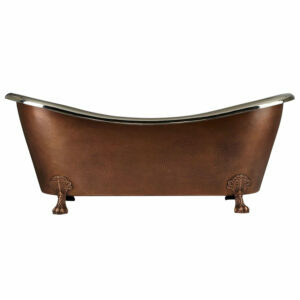 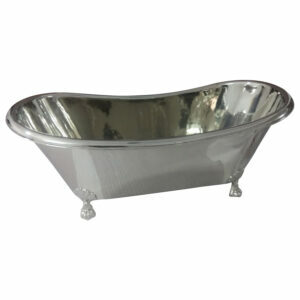 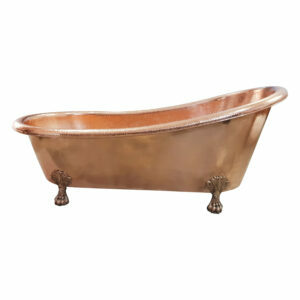 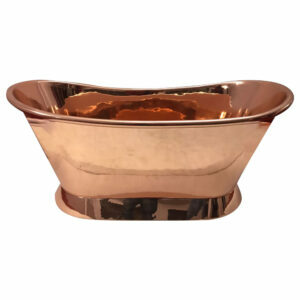 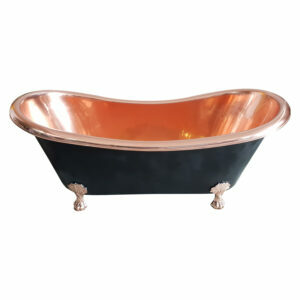 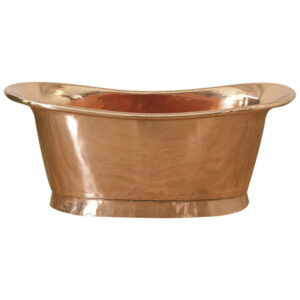 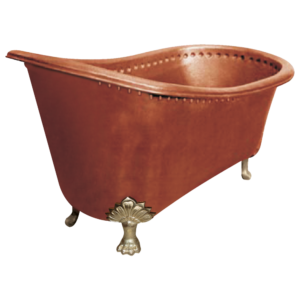 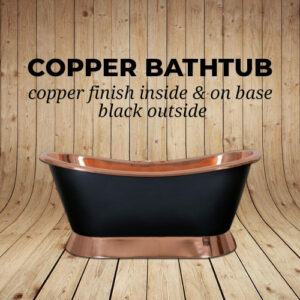 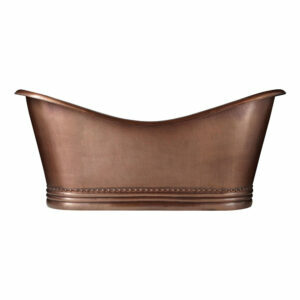 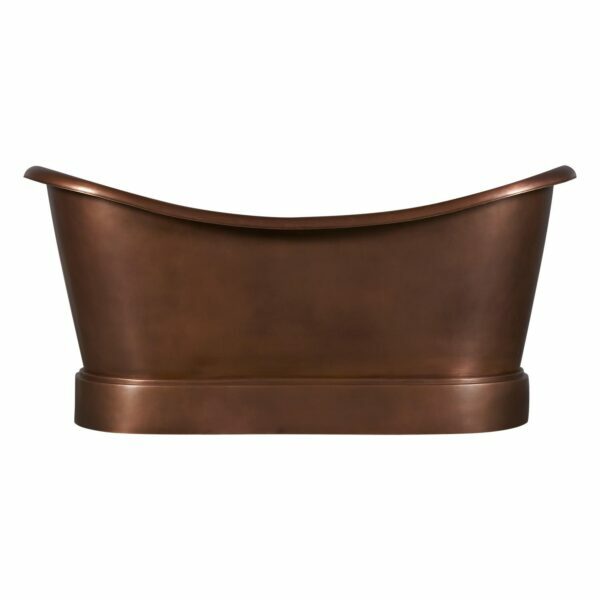 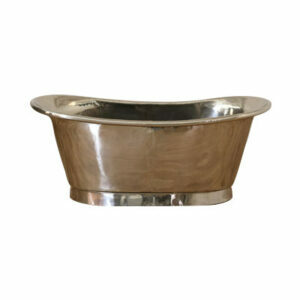 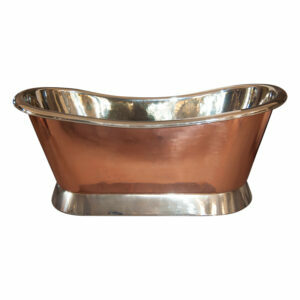 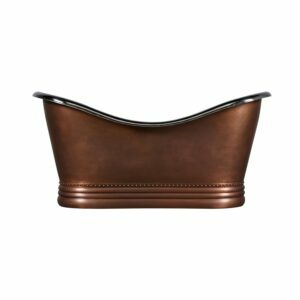 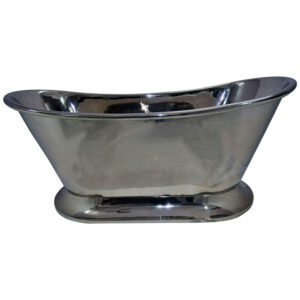 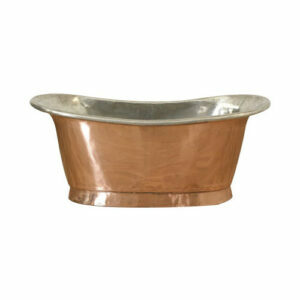 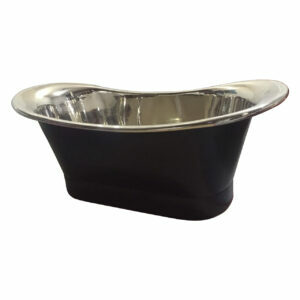 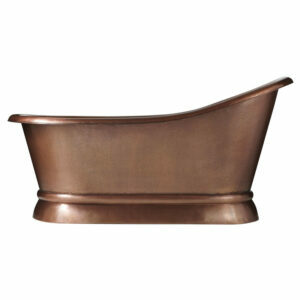 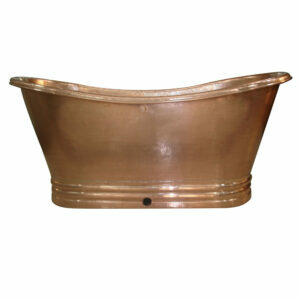 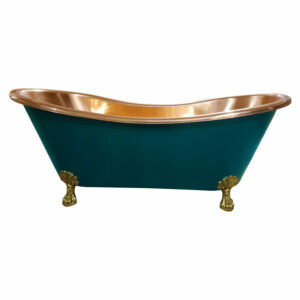 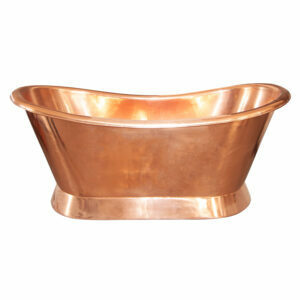 This Smooth Double Slipper Copper Bathtub is made for contemporary bathrooms and for enhanced experience of luxury. 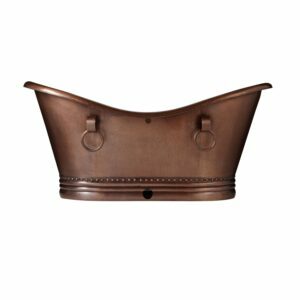 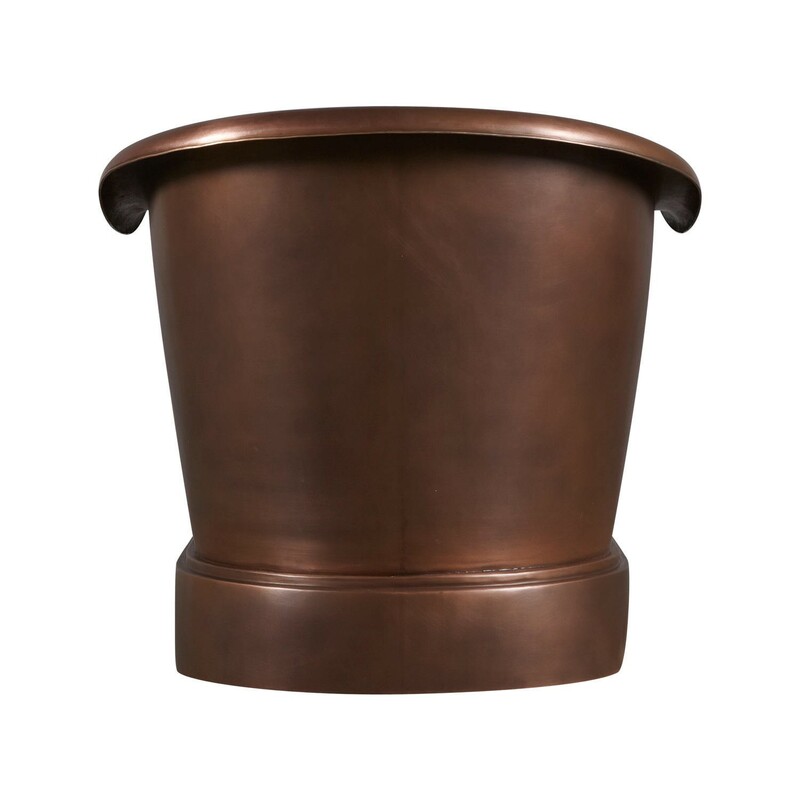 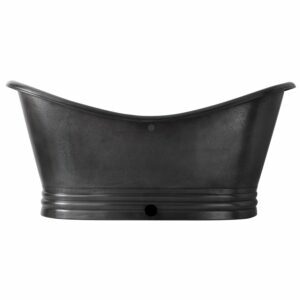 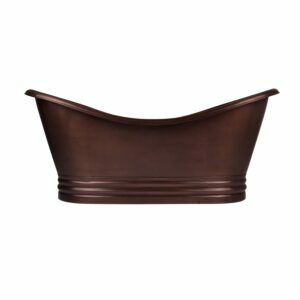 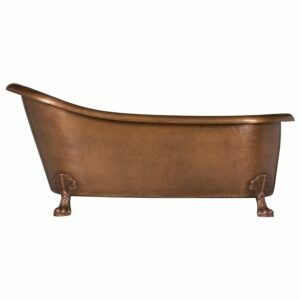 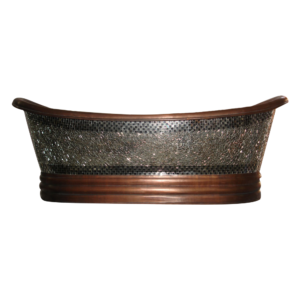 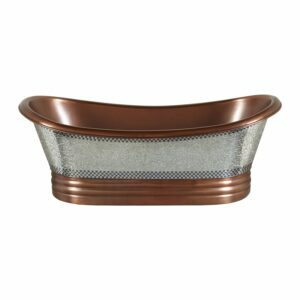 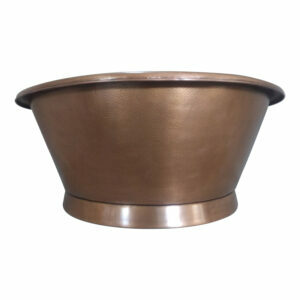 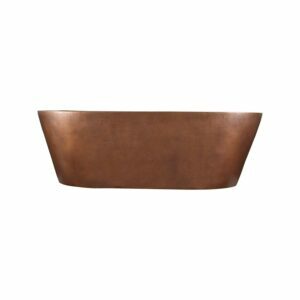 Made of 16 gauge solid copper and hand waxed for easy maintenance, it should be used with a freestanding or wall-mounted faucet.